18,000 consumers across 9 geographies have spoken. It’s all about balancing the basics. 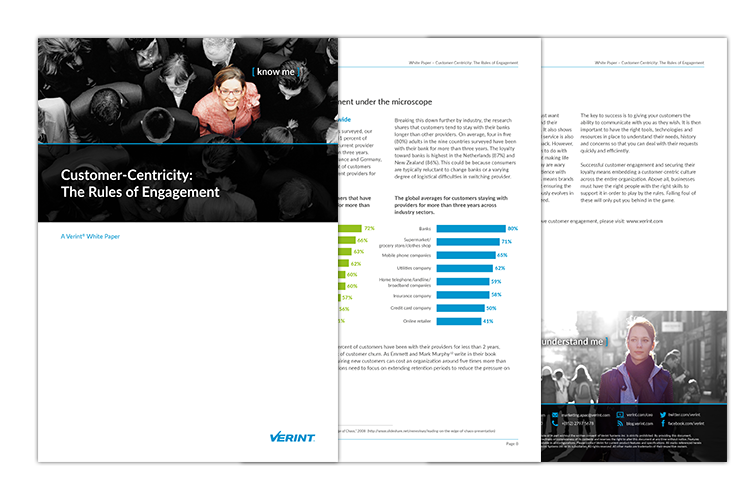 New global research from Ovum and Verint reveals that effortless engagement is king and familiarity a double-edged sword. 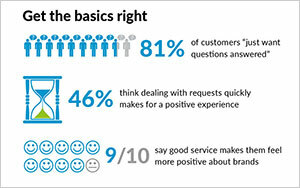 What makes for good customer engagement? The rules of customer engagement have changed. They have less to do with personalization at all costs, and everything to do with making life easy for customers and for employees. Effortless Resolution is King, Relationship is Secondary: 80% just want their questions answered while 55% believe customer service is a transaction. Companies Need to Navigate Between "Stranger and Stalker": 51% like having personalized service while 49% are suspicious about how data is being used. 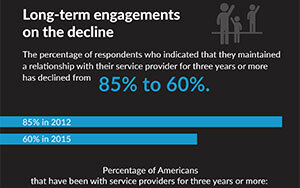 Long-Term Engagements on the Decline: respondents who have maintained a relationship for three years or more has declined from 85% to 60% since 2012. Customer-Centricity: The Rules of Engagement. Find out more and gain practical advice and insights from Ovum on how businesses like yours can best respond to these new rules. Copyright © 2015 Verint Systems Inc. All rights reserved worldwide.